Creating a list, of only ten (eleven) albums from this year that are my favorites, but also representative of the greatness in music in 2009 is no simple task. After I completed my selections, I remembered a slew of albums that have been important and valuable to 2009 that I forgot. It came down then to either electing to alter the list entirely, add extra spots and play them off as ties or a's and b's of the last few numbers, or to just stick to my original guns. After a lot of internal debating, and a lot of discussion (and a lot of research... these lists are ubiquitous) I decided to stay the course, knowing that I'm leaving two albums I loved off the list of 11 entirely. After the unique sound and brilliance demonstrated on the Chunk of Change EP, the Massachusetts band bought some nearly clown-sized shoes to fill. With Manners they keep the unique sound going, even porting over "Sleepyhead" over to the new disc. But, what could have sounded like a longer version of the EP, lacking additional creativity, does not. Their first full-length release plays like an album all their own and provides all the groove, lyrical prowess, and edgy electro-pop heroics anyone could have imagined. 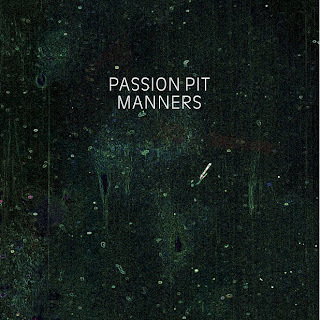 The sophomore release will be the real test, since they won't be able to send "Sleepyhead" around again, but Passion Pit feels like a turn of the decade band, that has at least another handful of big hits in them. If only, like number 7 on this list, their big song wasn't featured so often in commercials, they'd get EVEN more mileage out of a great tune. 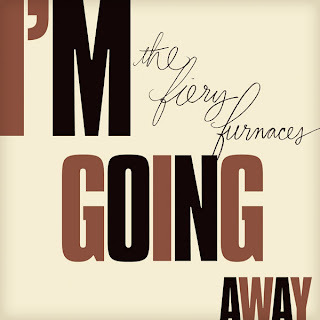 Easily the most accessible and straightforward album they've ever done, I'm Going Away feels like a companion to 2003's Gallowsbird's Bark in pace and tone. But, the eighth album in the band's catalog features more aggressive guitar work, and an even more in control vocal performance by Eleanor Friedberger. Though known for their medley-style compositions in the past, I'm Going Away, has twelve discernible tracks, which explains its draw and appeal, but also shows the ongoing passion for experimentation within the band. No two albums are the same, and that's the only thing you can count on in being a fan. And, even the same album isn't the same when the Friedbergers re-released I'm Going Away as Take Me Round Again using the same lyrics, but with wholly different musical arrangement and composition. The album's second track "Two Weeks" has been in my head since I picked up the album. That song alone is enough to earn Grizzly Bear this third spot. A mature, genre-blending disc loaded with great folk, pop, chamber and even hints of soul, solidify Veckatimest's position as one of the top three of 2009. Impressively, this second full-length is the first album on which Ed Droste and Daniel Rossen collaborated completely on the writing. Since 2006's Yellow House, the band has greatly broadened their musical style and nearly defined themselves as their own genre. 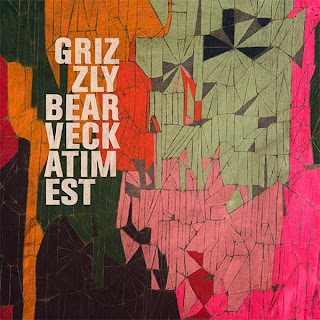 Grizzly Bear reached a point of near-incomparability with Veckatimest. Another great track, "While You Wait for the Others" ought not be missed. But listen to "Two Weeks" once and be warned that you're brain will repeat it. Andy Falkous is used to his greatness going unnoticed. His first band, mclusky, suffered through a short tenure in obscurity despite generating some of the greatest noise/alt rock in this decade. And while decently reviewed, Future of the Left's Travels with Myself and Another has been largely absent from the top sections of these year end lists. This is crime. 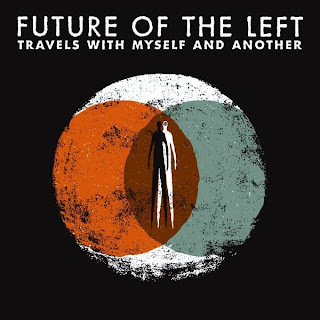 FotL's 2009 release is one of the most brutally rocking, heady, protest-laden, intelligent, tongue-in-cheek, mind-blowing albums of recent memory. Loaded with scathing lyrics and smart observation, combined with powerful guitar licks, Travels with Myself and Another can be at once a giant middle finger to politics and world order, and alternately a contemplative journey through the impotence of mortality and individuality. You play it loud, you jump around, and you try to sing along mostly with hoarse screams. This album deserves love, as does FotL. When a band this amazing lacks a proper following, it's often because they are too far ahead. When erudite, hard rock slides into the popular culture in 2011, they'll have paved the way. 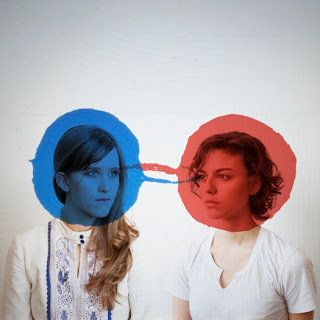 Dirty Projectors take the best album of the year because Bitte Orca does EVERYTHING beautifully. Raucous, bouncing dance rock, as featured on "Cannibal Resource" and "Useful Chamber" blasts the senses and attaches itself firmly to the memory. More solemn "Temecula Sunrise" varies between pace changes, bombastic notation and payoff exploding choruses. And then "Two Doves" injects beauty and directness, a truly loving, honest folk-acoustic ballad, into the center of all the chaos-by-design. Not one song disappoints, and amazingly the album continues to sound new with each listen. There are layers to these experimental rock/pop tracks that reveal themselves over time. After getting through the heady lyrics and Dave Longstreth's unique (Ted Leo-esque) voice, you see the powers lying in the harmony, and chord changes, and the time signature shifts, and the guitar work, drums... Bitte Orca provides a near-infinite amount of pleasure, and then promises even more through being a puzzle for the audiophile to solve, dissect, assemble and observe. It deserves to be number one on this list because it is an album that I can see myself listening to, in full, for years to come. It passes not only the 2009 test, but perhaps tests through 2015. Did you notice a couple of key omissions? Yeah, I know. I will write about two great albums of 2009 that didn't make the cut, but could have, in the next post.